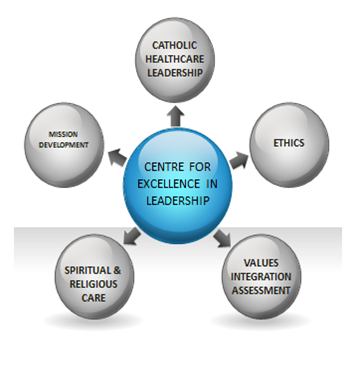 The Catholic Health International CENTRE FOR EXCELLENCE IN LEADERSHIP is a resource centre providing development opportunities to each of our Corporations in the areas of Spirituality, Education, Values, Philosophy, and Mission. Membership of the five pillars is made up of cross section of experts in the field of each category across our entire system. They meet on a regular basis and provide foundation for each of the individual programs within each pillar. The Board of directors of Catholic Health International fully supports this Centre and is providing the resources to ensure its success.